By 1855, the year the Mechanics’ building opened, the Library had a total of 2,542 volumes. On average 1,566 books were borrowed by members, each month. 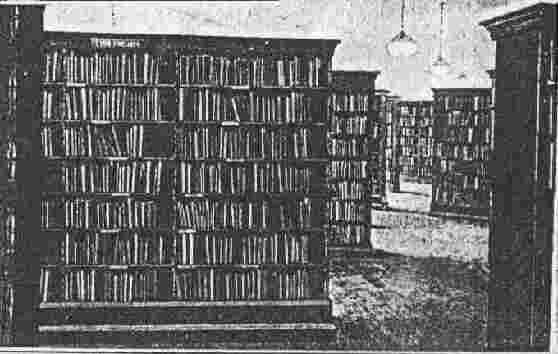 The library occupied two rooms in the original building. A Reading Room, running the width of the building, well lit by large windows at each end and with two fireplaces for comfort on those chilly evenings. Opening off the Reading Room was the Book Room with its bookshelves. By 1903 the lending library facilities had become totally inadequate and a new extension was planned on the west side of the original building. This contained a long waiting area with a bench seat running its length and a new counter with three serving positions. In this period, borrowers were not allowed to wander freely through the book stacks but were presumbly required to select their choice from an extensive catalogue. Also in this year, the Reading Room had been moved to the new extension, and the old room had become a Lecture Room. In 1930 a radical change took place. The layout of the lending library was modernised. A central control counter was installed and the book shelves laid out to enable readers to browse before selecting. 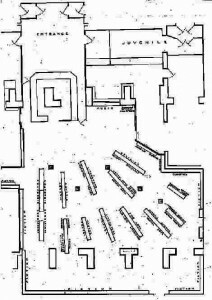 A new extension to the east was constructed to house the Council Room, the hall floor above strengthened and most of the internal dividing walls removed in order to create a clear space for the new layout. At the same time the reference library was doubled in size. The Lending Library, replanned in 1930. 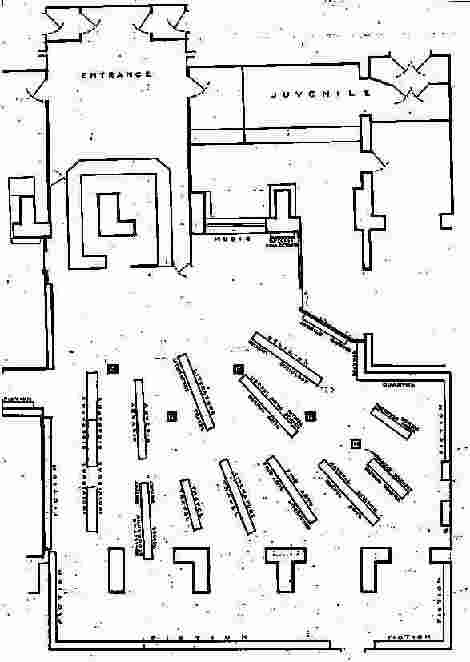 A central counter now controls the radiating aisles, allowing readers to make their own selections. In 1941 the Borough Council were urged by the non-railway sector of the community to set up an independent public library. 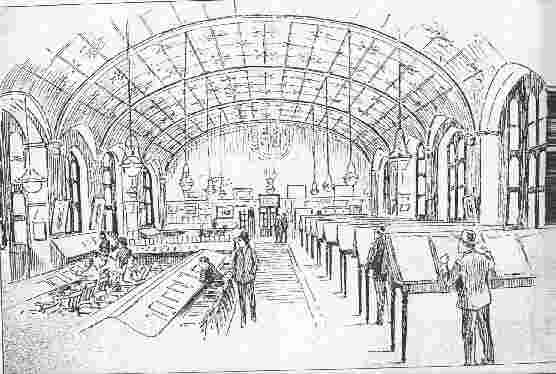 A sub-committee was set up to negotiate with the Mechanics’ Institution with a view to using their premises as a basis for a public library. 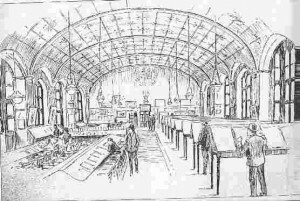 The Institution proposed that the scheme be given consideration after the war. However the Borough Council decided to go it alone and the Swindon Public Library opened in 1943. The Mechanics’ library carried on for the benefit of the works and weathered rail nationlisation in 1948. In 1960 the Mechanics’ Institution was absorbed into the British Railways Staff Association and in 1961 the library and ground floor lecture facilities were closed. The spaces they once occupied being taken over by a skittle alley, a bar lounge and a dance hall. All the educational and intellectual activities organised by the Institution had come to an end leaving a cultural void in the heart of Swindon.